Popcorn, it’s a glorious thing, do we all agree? I have tried my fair share and there are an infinite amount of flavour combinations to keep us all going. 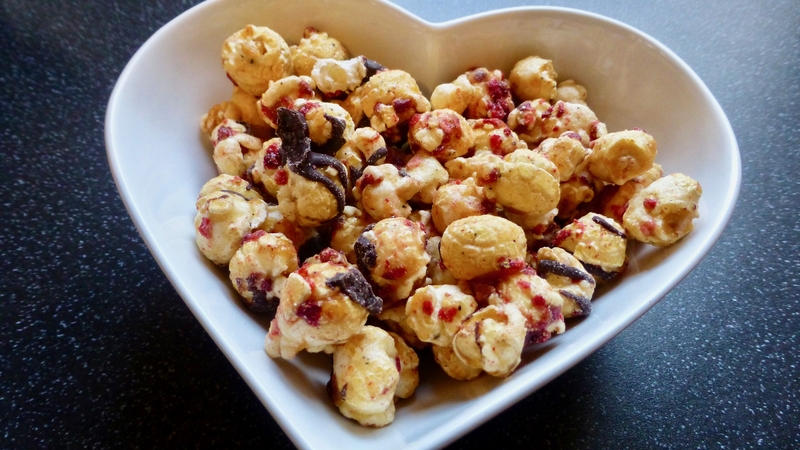 New on the indulgent bandwagon is Tesco Strawberry Pepper Dark Chocolate and Toffee Nut Latte Popcorn. Both 170g packets cost £1.79 a piece, a very reasonable price for the more snazzier types of popcorn. Sitting alongside these two Tesco Finest popcorns are Fiery Ginger, Peppermint Cream, and Mango & Coconut, which certainly for Tesco, pushes popcorn to new realms. Glossy and vibrant, aesthetically alone it made me want to dive straight in. 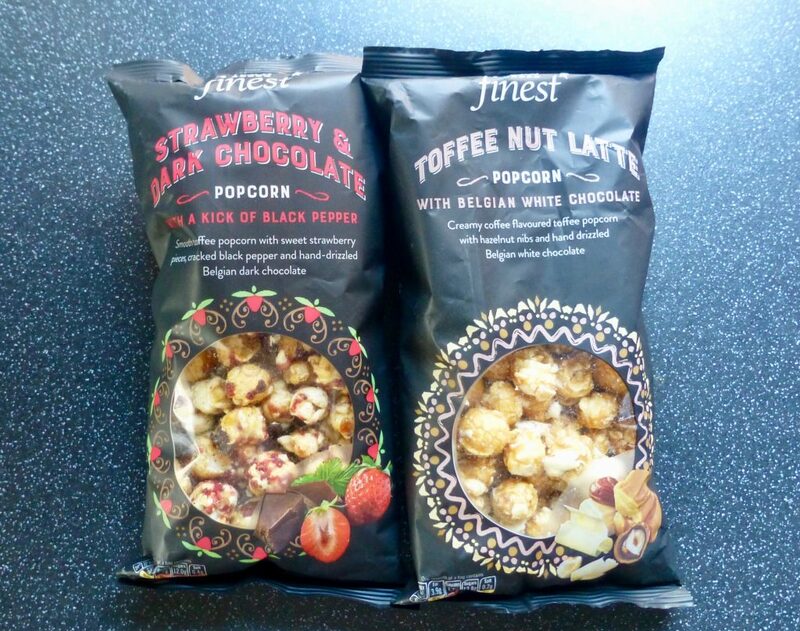 The crisp buttery popcorn was met with the intense strawberry flavouring you get from freeze dried strawberries which developed into some fiery heat from the black pepper. I was most unsure of the black pepper to start with but actually this worked very well with the sweetness and brings more heat than flavour. The bitter dark chocolate drizzle was enough to cut through the sweetness and bring a new element to the popcorn. A truly delicious popcorn that I can’t help going back for more. Again this is golden and glossy but had a slight less crisp factor to it. The smell of coffee was far more intense than the actual taste, which as a non coffee lover is perfect for me, but those wanting that hit are going to be highly disappointed. 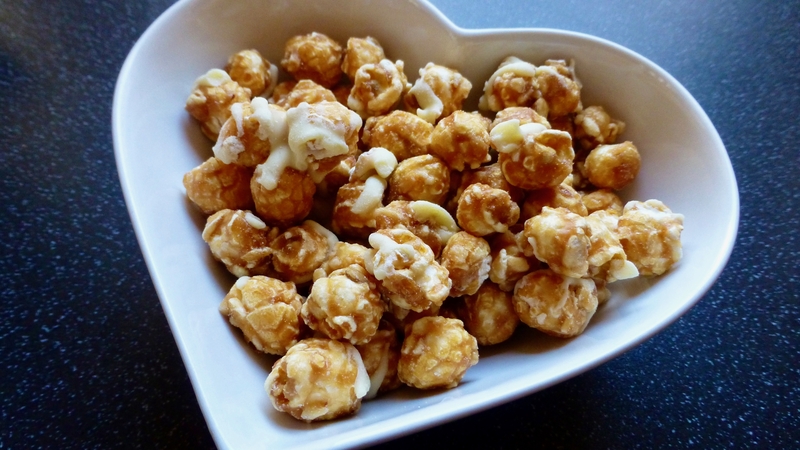 The thick white chocolate drizzle brings sweetness, and the hazelnut pieces made for a chewier piece of popcorn. The quality was certainly there and there wasn’t a single un-popped kernel, but it just seemed to be lacking in flavour in comparison to the Strawberry Pepper Dark Chocolate. My apprehensions have diminished and I am impressed with Tesco’s offerings. My favourite of the two is the Strawberry Pepper Dark Chocolate, it’s sweet, slightly bitter and has a savoury hit of heat, tingling all those taste buds. The Toffee Nut Latte stand alone was nice but not a knockout number and lacking in flavour. I have to applaud Tesco’s effort here and am certainly on the lookout for Peppermint Cream and Mango & Coconut. 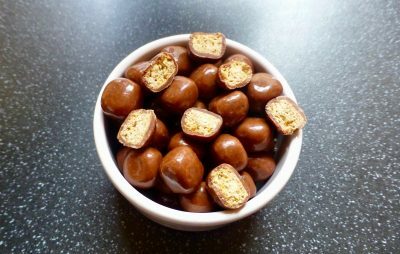 Have you tried Tesco Finest’s new array? What are your thoughts?